Go early. Free events will fill up quickly. Dress code? Casual or business works. 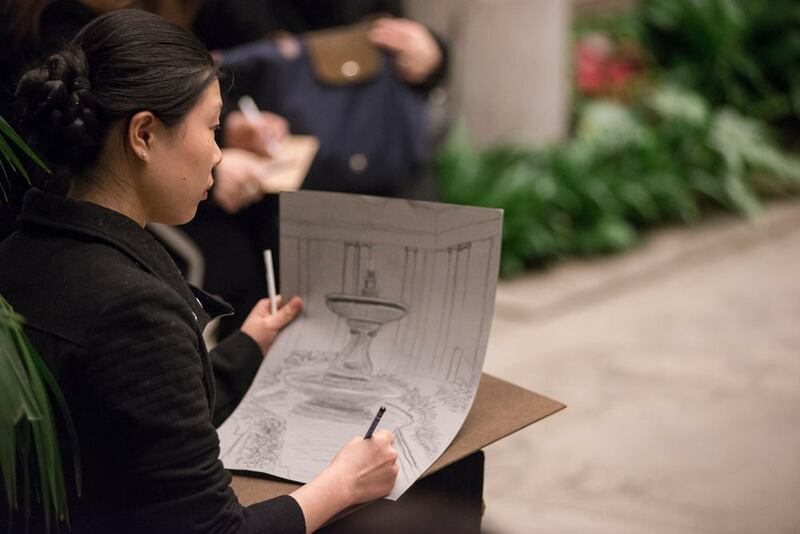 Complimentary paper and pencils are available for courtyard sketching. Go alone or bring friends? Either or, but don’t miss out. Nearby spots? There are plenty. Garden Café at Asia Society, 725 Park Avenue New York, NY 10021 afternoon tea from 2-5pm, charming, quaint, great bookshop and lovely space- you must reserve 24 hours in advance. Please call 212-570-5202. Café Fledermaus & Café Sabarsky at Neue Galerie – conveniently located across the street from The Frick Collection. Lenox Hill Grill (by 77th and Lexington) – sometimes you just want a burger with a beer or wine. This place is reliable and convenient. The Mark Bar 77th between 5th & Madison – swanky and chic, the perfect way to impress your date. What’s Up? The Frick Collection, one of New York’s most beautiful museums, invites you to an evening of free after-hours tours, live classical music and courtyard sketching. Why you should go. 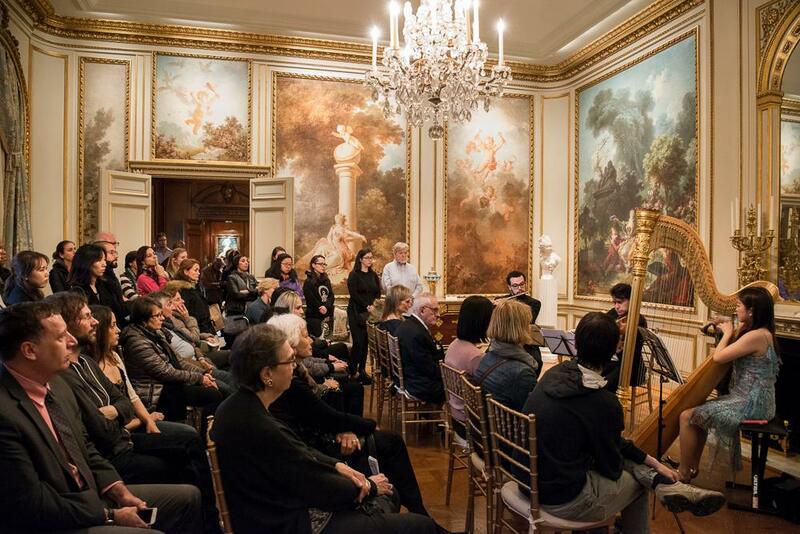 The Frick Collection is one of those small museums that will never exhaust you. 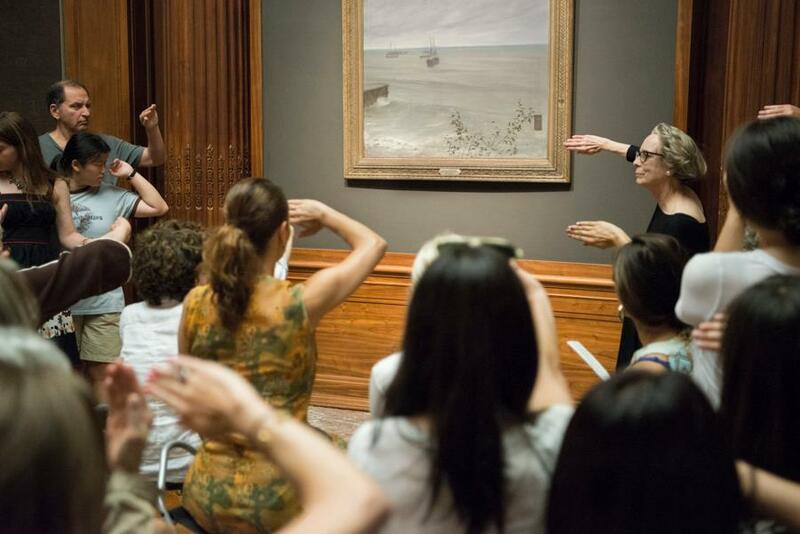 With its beautiful art collections and gardens, it is the perfect way to start of your weekend. Following the massive success of its Summer Night series, the Frick Collection will open its doors for free every first Friday of the month (except for September and January). Stroll over to one of the guided tours, admire the collections on your own or try your hand at sketching the fountains in the courtyard while sipping sparkling water. Go early. The museum will fill up quickly. Previous Article← Preview: 2018 Brisket King of NYC is back! 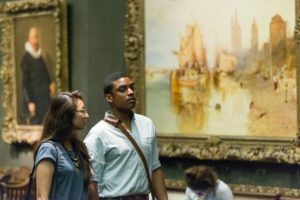 Following the massive success of its Summer Night series, the Frick Collection opens its doors for free every first Friday of the month (except for September and January). Canova’s George Washington, through September 23, 2018. Why you should go. 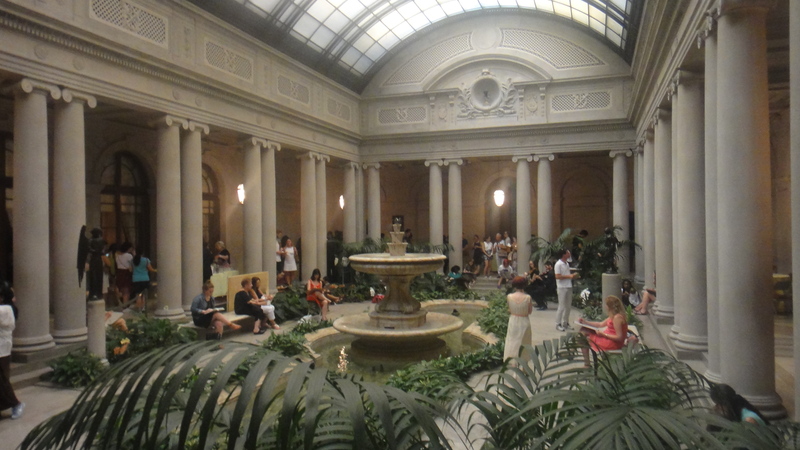 The Frick Collection is one of nicest museums that will never exhaust you. With its beautiful art collections and gardens, it is the perfect way to start of your weekend.